If you have just recently bought a new device and are getting to know your Android, you must be having one or other app that you prefer over the rest of the apps in same or similar categories to perform similar functions. We can not recount the number of times we wanted to play a video on VLC player or wanted to open a link in the website form on Chrome, but instead the app version of the same kept popping up. Well the problem that is bugging all of us frequently (basically every time we wish to open a file with an app of our choice, but our Android keeps opening it on a different app of its choice) – is in fact the default app settings of our Android. 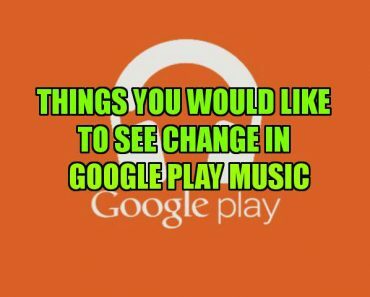 Yep, the reason your Android keeps playing your songs on that music player instead of your preferred one is because you have not yet managed your apps and their default settings. 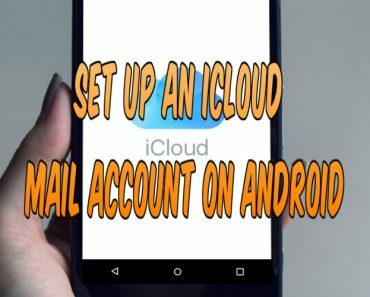 Spoiler Alert : In case, you are one of us (in short an Android wizard), you need not continue as we are sure you already are aware of these extremely basic tips and tricks of working around an Android. 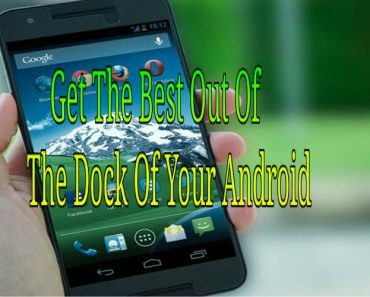 However, if you are a more conservative user and have not explored your device much, make sure to go through the following points to understand and utilize the features of your Android to its best. So, we will tell you first the easiest way to manage your apps – install Default App Manager Lite on your Android now. And relax, the deed is done. Yes, it is that simple. 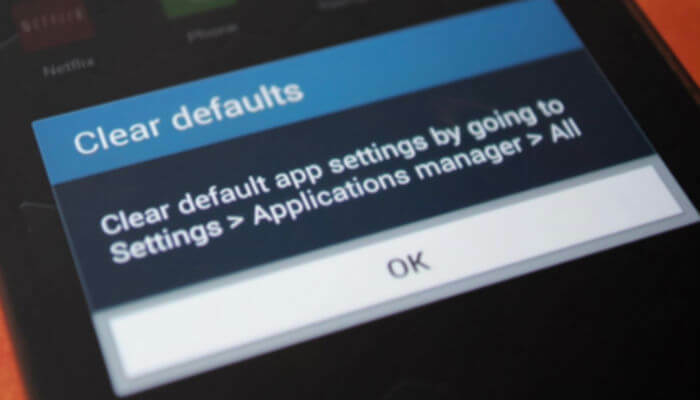 The app you just installed on your Android is the best option for managing default app settings. 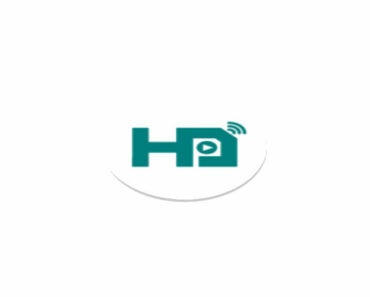 Once it is installed on your phone, simply select which app you want to use for whichever type of files or links and/or other functions. The app displays a wide range of file types used mostly in one single list and lets you choose easily. It will also let you know what exactly is considered the default app for which type of files and/or functions. You can simply download the app from your evergreen Google Play Store and be done with the rest. However let’s say that even after installing the Default App Manager, you are struggling with opening your files or use the apps you wish to use for certain functions (your App Manager might not have the file type facing the problem in its long list of types of files available on your phone) or if you are curious to understand how default apps are picked to perform certain functions, you might have to continue reading the article below. Before that though you have to understand that usually it is you, the user, who selects which app to use for what function. Mostly it happens in the initial days when you are not much familiar with the phone, and while exploring its features, select default apps without understanding what you have done. Go on and read the points below to get your default settings right and working for yourself. To understand the basic functioning of Android, you have to get familiar with its ultra cool concept of implicit intent – which, in simpler words, means that in case you ask (directly or indirectly via an app) your device to perform a function, it shall itself search for an app best suited for the job. Now if the Android has more than one type of results in that search (meaning two or more apps which are able to perform the same function), and there is no default app selected, the Android shall ask you, the user, to select the app you want to use for the said function. See, how intuitive that is? Now to make it work what you have to do first is select which function you are assigning to which app. You can choose from viewing your pictures to playing a song or opening a weblink. When you tap on whichever function that you selected in the first step, and the Android moves to perform the said function without asking you, that mean you have either already unknowingly set a default app for that function, or you have in fact only one app on your device to perform that function. However, if you are faced with choices like we were in the pictures below, select the app that you want to act as your default and click on Always. Once you do so, that particular app is set as your default app for that said function. So now you must remember how you accidentally set all those defaults on your Android without meaning to. Clicking on Always resulted in those apps performing the same functions for you till now. Remember that once you remove the default setting, or download another app which can perform same/similar function, your Android shall again ask you to choose your preference, and clicking on Always shall set your default app. First of all go to your phone’s Settings. Select App Settings by scrolling down the Settings menu. Tap it open. Go to the app whose default you want to change (in this case, it would be YouTube). Scroll down and click on Default Settings. Now again, try opening that YouTube link. Your phone shall now ask you for your preference as you have cleared Default App Settings. Select the option you wanted to use instead of YouTube, click Always and voila, your default app to perform the said function is changed. Select Apps after scrolling down in the Settings menu. On the page opened, look out for the icon Options (three dots) in the top right corner of your device as shown in the picture. Just click to see that drop down will appear. Select Reset App Preferences from this menu. As you are going to perform a reset, your Android shall issue you a warning, informing you that selecting reset shall affect your apps more than simple reset. Just feel clam – there will be no data loss. Click on Reset Apps, which will make sure that all your normal default app settings are waived – and you are given a new chance to select default apps for every function performed by your Android (given that you have two or more apps for the same function). We are sure the above points helped you immensely in selecting your default apps as per your preference. Let us know in comments below if there is something else you’d like us to help you with.